Calves must be fit for transport before they leave the farm. 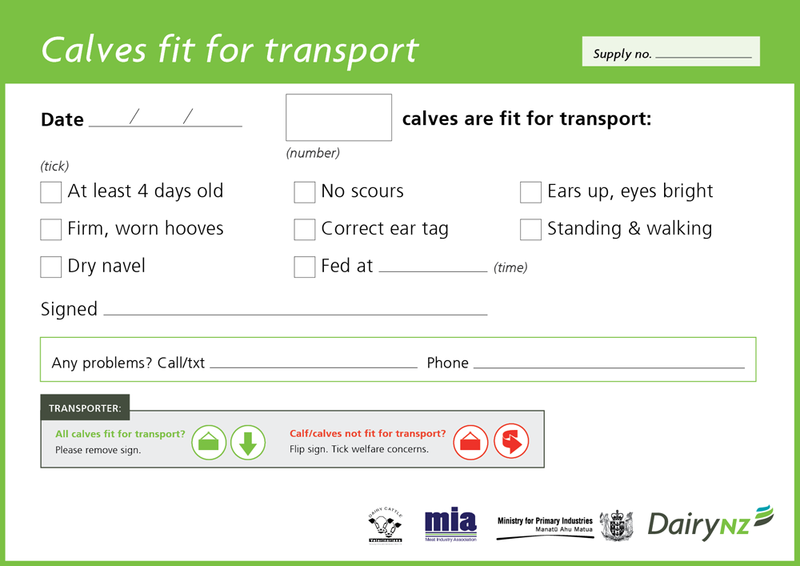 A new Fit for transport poster is available for the calf shed. It provides a visual reminder and checklist at the point of bobby calf selection of the eight criteria that calves must meet before they are selected for transport off-farm. Watch the video below to learn how to check if a calf is fit for transport. It takes a team effort to ensure all calves are treated with care and respect, from birth to beyond the farm gate. A new 'collection sign' for bobby calf pens is available for farmers and transporters to use this season. The sign will help ensure all calves are fit for transport and provide a simple way for farmers and calf collectors to communicate regularly. The sign is an optional, proactive measure you can use to improve the care of bobby calves and improve communication through the supply chain. How do I get my bobby calf collection sign? DairyNZ is working with the Meat Industry Association to pilot the sign through some suppliers. If you would like to use the sign, please place your order via this page. The sign is durable, 'wipeable' plastic, and will come with a whiteboard pen and instructions for use. DairyNZ is keen to hear your feedback on how the sign works for you this calving season so we can make changes as a result. Please email info@dairynz.co.nz if you would like to give feedback after calving season. Answer these simple 12 questions and find out how to level up your calf care. Guidelines for calf holding and loading facilities. 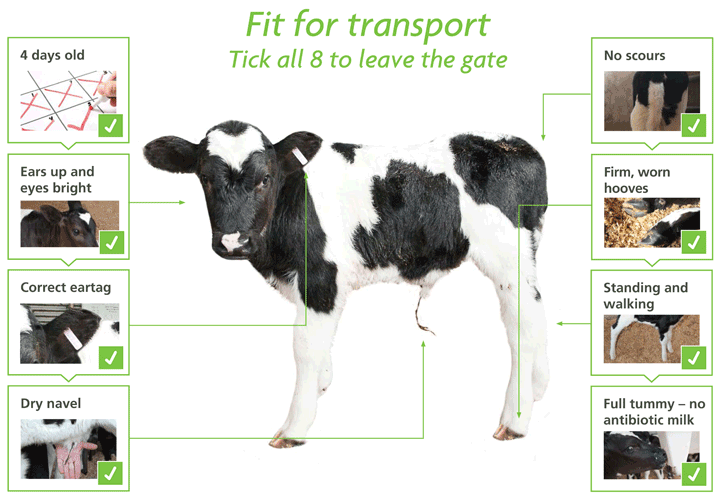 A transporters guide for ensuring calves are fit for transport and handled with care. Standards of care that must be achieved in order to meet the Animal Welfare Act 1999.